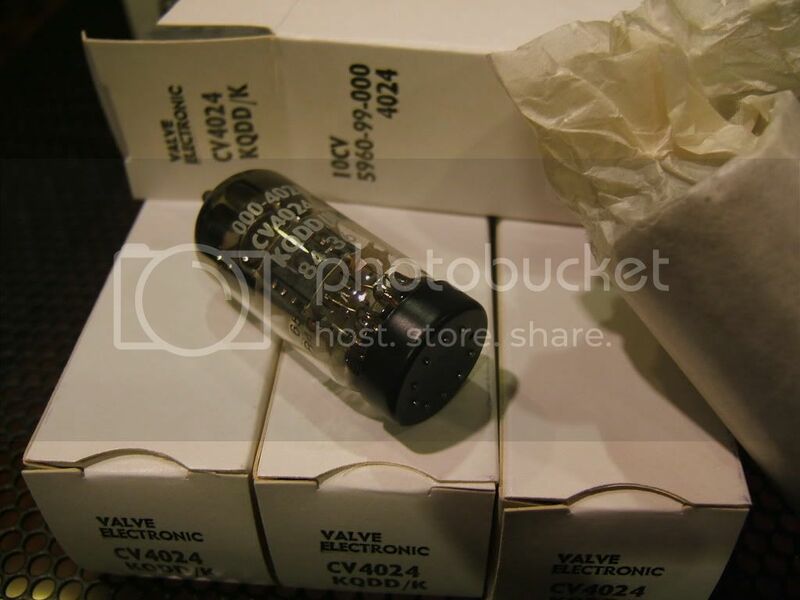 TUBE INFO: These tubes are NOS (New Old Stock) Genuine MULLARD CV4024's (12AT7) packaged for the British Military in the early 1980's. 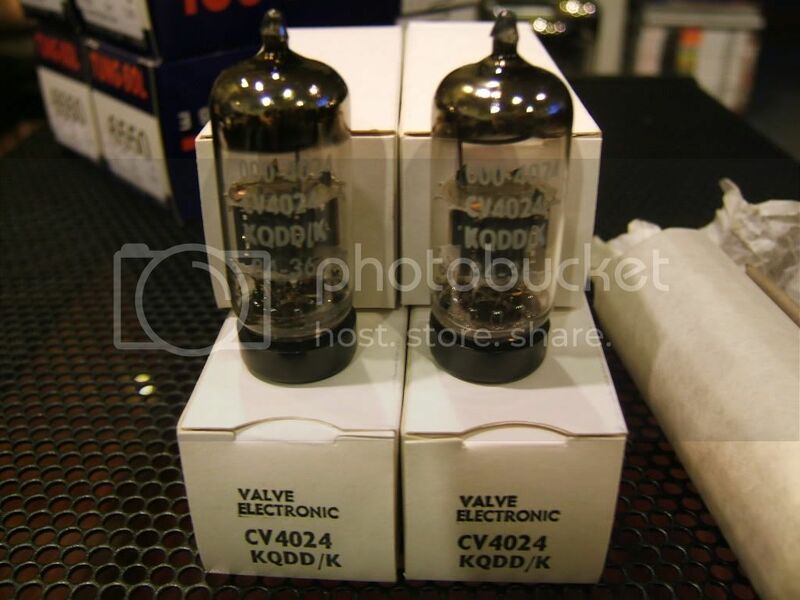 They are some of the last tubes ever produced in the UK by the Mullard Company. They feature double sutured plates, crimped glass tops, pin protectors and come on with that classic Mullard flash. This is one of nicest sounding 12AT7 tubes every made and with their ruggedized construction will continue to sound great for a very long time. All tubes carry the trademark acid etched codes so you know they are for real. The markings are as follows: 654 designating tube type on the top row. The second row is marked R2L2. The "R" stands for the factory where the tubes were produced, in this case it was the Mitcham factory in Surrey, England. The first "2" stands for the year the tube was made, in this case 1982. The "L" is for the month they were produced, in this case December and the last "2" designates which week they were produced, in this case the second week. They also have the Military designation silkscreened on all the tubes in white. You can see these markings in the photo. All of these tubes are tested on the NEW Maxi Pre-amp tester, which essentially tests for everything. They either meet and in most cases exceed the requirements for new tubes. Each tube comes in the original Military White Boxes with the Military part numbers stamped in black.